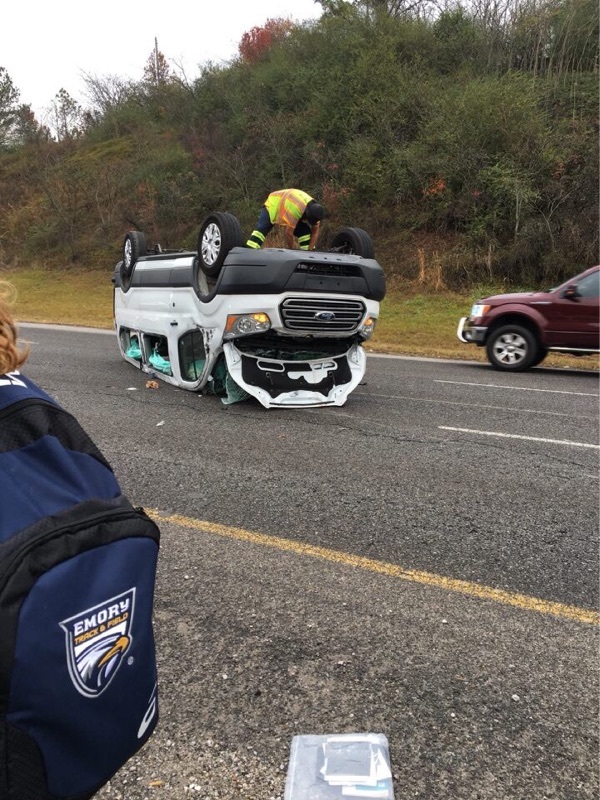 Some members of Emory’s track and field team were involved in a collision in Birmingham, Ala., Friday morning when a vehicle struck the team’s van, which overturned. The track and field van was traveling westbound on Highway 280 when a car failed to yield and struck the van, according to Birmingham Police Public Information Officer Lt. Sean Edwards. The collision occurred around 7:35 a.m. Central time, according to Head Coach John Curtin. The van flipped twice before it landed upside down, according to 11Alive. No serious injuries have been reported, according to Edwards and several track and field athletes who were in the van. Eight Emory athletes and two coaches had been in the van, which was traveling to the Birmingham CrossPlex from their Marriott hotel, according to a Dec. 1 University statement. One athlete was transported to Grandview Medical Center for observation after she reported that her knee was hurting, Edwards said. The remainder of those in the van were treated and released at the scene, according to the University statement. “A guy was coming off that off ramp and just kept going. 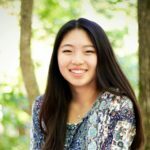 … [The driver] went across three lanes of traffic and hit the rear end of the van,” said Curtin, who had been driving another van carrying several Emory track and field athletes. Curtin’s van had left the Atlanta campus Friday morning. The track and field team was scheduled to compete in the Dec. 1 Birmingham-Southern Indoor Icebreaker meet. 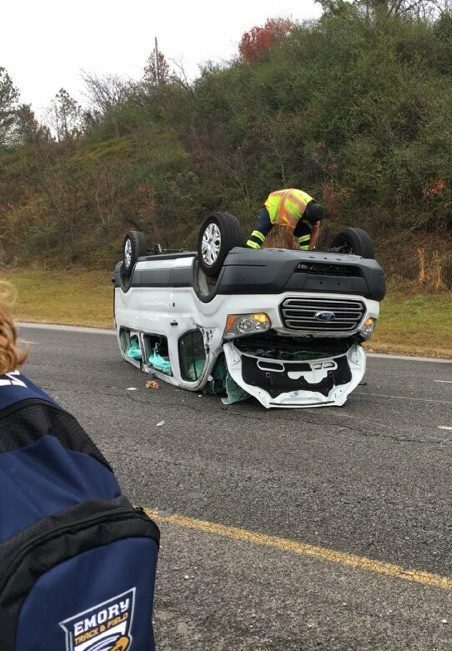 After Curtin dropped off the athletes in his van at the Birmingham CrossPlex Friday morning, he drove to the scene of the collision to pick up the team members involved. “We went back to the Marriott, settled down a bit, got them some food, got them some fluids,” Curtin said. Curtin and the 10 track and field members involved in the crash returned to Atlanta Friday afternoon. The athlete who was hospitalized has been discharged and is on the way back to Emory as of 3 p.m. Eastern time, Curtin said. The athletes were screened and evaluated by team trainers and physicians in Atlanta, Curtin said. Family members of those affected have been notified, according to the University statement. Curtin said he plans to return to Birmingham later Friday afternoon to join the rest of the team competing at the meet. “All the kids have been calling [the athletes involved in the collision] and checking on them, and [the athletes involved in the collision] said, ‘Hey, run like hell. Compete. That’s what we wanted to do, so there’s no reason why you shouldn’t,’” Curtin said. Richard Chess, Nicole Sadek and Alisha Compton contributed reporting. UPDATE (12/1/17 at 4:42 p.m.): This article was updated to reflect statements from Head Coach John Curtin.